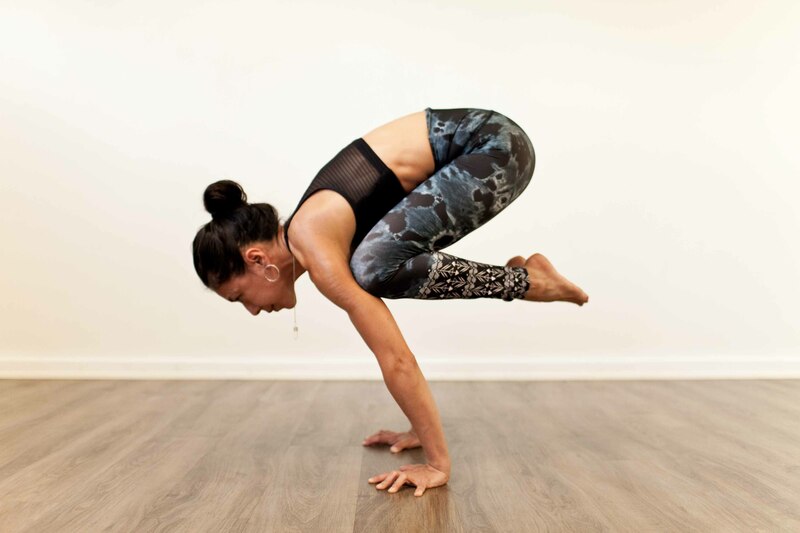 Bakasana or crow pose can be daunting at first - it involves some crafty arm balance skills and some guts. In Bakasana, the upper arms are bent, the knees are rested on the upper arms, and the body is lifted from the ground. 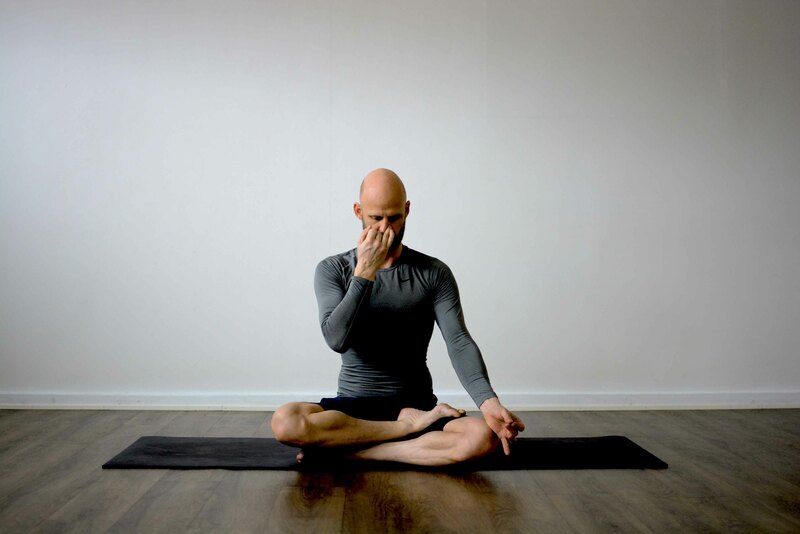 A friendly reminder before we get started: always ease into a new pose and take your time. If you don’t master Bakasana right away, there are some variations for you further down. Or if you came here looking for Kakasana or crane pose, keep reading. Bakasana originates from Sanskrit. Baka means crow and Asana means posture. The crane pose and the crow pose are often mixed up since there only is a slight difference between them. The crane pose is the exact same pose as the crane - only with straight arms instead of bent. The crane pose in Sanskrit is Kakasana, where Kaka translates to the crane. The crow pose is a great starting point for progressing into more advanced arm balances. It also strengthens your core and wrists, improves your balance and tones your arms. Bakasana works with hip and groin flexibility, so be sure to try some preparatory poses to open up your hips. Start in an upright position (Tadasana is recommended) and slowly come down into a squat. Your knees should be wider than your hips. Can’t plant your heels down completely? : Prop a folded towel or a block under your feet. Lean forward your upper body and place your hands on the mat in front of you, shoulder-width apart. Tip for better balance: Spread those fingers out! Hug your torso with your inner thighs. Press up onto the balls of your feet, and place your knees on your upper arms. Lean forward, placing weight on your palms, and begin to come up on your tiptoes, one foot at a time. Lift one foot off the ground, and then the other. Can’t get both feet up? : Start by lifting one foot and keeping the other on the ground. Keep your head lifted and gaze straight. Your knees should hug your torso and your back should be stretched. You want to be in a compact position with your upper body. Don’t feel like tipping over on your face? : Place a folded towel in front of you for a softer landing, just in case gravity acts up. Or, have a partner help you out by supporting your shoulders. When you feel ready, exhale, lowering your feet onto the ground and coming back into a squat position. Bakasana is all about finding the point at which you’re comfortable with relying on yourself to find the perfect balance. Bakasana should be executed gracefully and mindfully, as with any other Asana. Kakasana - The Crane Pose: The term is often used interchangeably with crow pose. The crane is the exact same pose - but with straight arms instead of bent arms. Fun to progress into from Bakasana! Bakasana prep school - baby Bakasana: Practice the Bakasana movement by the baby Bakasana. Rest on your forearms, palms flat against each other, and lean forward into your upper arms. Your knees should be pressing against the outside of your upper arms. Keep your head lifted, as with Bakasana. This trains your upper body and core in preparation for Bakasana, without the fear of falling.